Home / News / SAP Bong Go blasts Trillanes: "Ikaw nag coup d'etat ka, umatras ka naman"
SAP Bong Go blasts Trillanes: "Ikaw nag coup d'etat ka, umatras ka naman"
Special Assistant to the President Christopher "Bong" Go has insisted a challenged to Senator Antonio Trillanes IV to a "one-on-one" after the opposition lawmaker criticized him for denying that he will run for senator in the 2019 mid term elections. 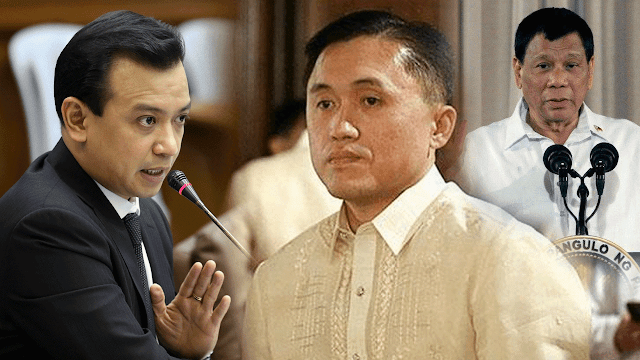 While Sen. Trillanes responding to the challenge, also dared Bong Go to sign a waiver to establish the source of his alleged “vast wealth,” being a billionaire as claimed by President Rodrigo Duterte. "Tanggapin muna ni Trillanes ang hamon ko sa kanya, kaysa dada siya nang dada. Ang hamon ko sa iyo, one-on-one, sa Tagalog, 'mano-mano.' Walang kasamang amo, at baka lalo ka lang maduwag. "Pag natalo mo ako, pwede ka ng maghamon at kung meron kang makitang billion sa akin, sa 'yo na." Go also hit Trillanes remembering the time when the former navy officer staged a coup but only to surrender in the end. "Senator Trillanes, ikaw nga nag coup d'etat ka, umatras ka naman, sumurender ka naman. Anong klaseng coup d'etat yan, huwag kang sumurender." 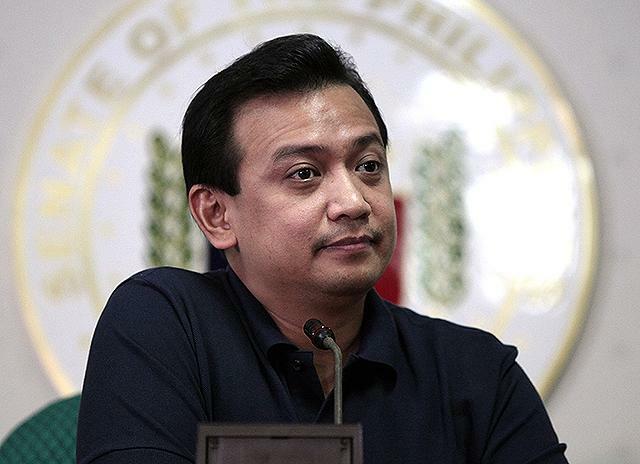 While Sen. Trillanes responding to the challenge, has instead dared Bong Go to sign a waiver to establish the source of his alleged “vast wealth,” being a billionaire as claimed by President Rodrigo Duterte. 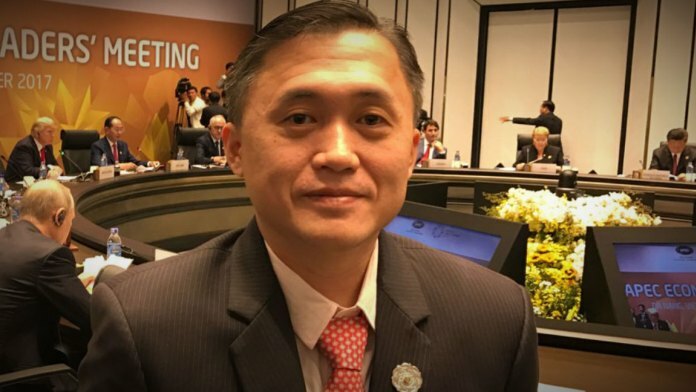 It can also be remembered that Trillanes being one of the staunch critics of President Rodrigo Duterte has also challenged Duterte during the campaign period in 2016 presidential elections to sign a waiver to dispute his claim that the President owns over P2 Billion in ill-gotten wealth deposited in different banks. 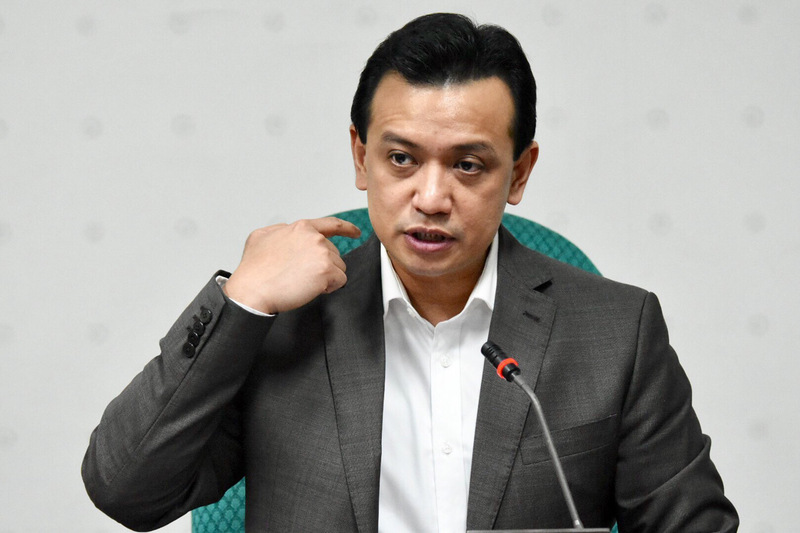 Trillanes said he was so confident about his proof against Duterte that he is willing to resign his current position as senator and walk straight into any jail of President Duterte’s choice if proven he is wrong.